It is Night 2 of the Playoffs on The Voice. Last evening, we saw great singers coming and going like crazy – as is often the case on The Voice. So much talent, so little time – and space – on this prestigious platform. I find it difficult to be wholeheartedly invested in the show until the live shows begin. What’s the point? So many great singers get the kaibosh before they have had an opportunity to earn the viewer support. It seems sad but, in fact, it is reality. There is a great deal of untapped talent in the USA – everyday talented people flying below the radar. To win a spot on the live shows is, in a sense, like winning a musical lottery. 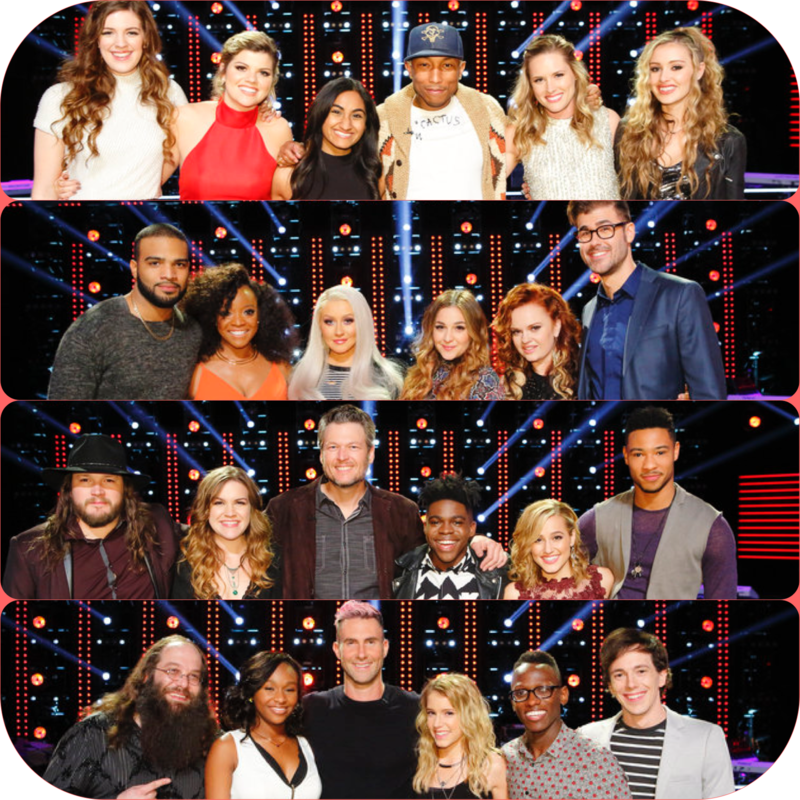 On Tuesday April 12th, Team Adam Levine and Team Pharrell Williams singers will compete for your votes. On Wednesday, two artists from each team will advance based on the viewers’ vote, and each coach will complete their respective teams with their own choice to form a Top 12 for the shows. I took a screenshot of the order and song selections for Tuesday’s show from The Voice’s Wikepedia Page . Again, consider the accuracy with trepidation. Top favorites for Tuesday night were Shalyah and Hannah. Others I liked were Emily, Daniel, Owen, Caroline, and Brian. It’s sad that so many really good singers will go home just to secure three spots on each team. Blake’s whole team is really good, Christina has more than three who should advance! Sad!